Few countries have transformed quite as fast as the People’s Republic of China has in recent decades. From a communist country that was mostly closed to the outside world for much of the 20th century, China has emerged as an economic, military and political powerhouse on the global stage. The country’s economy has been growing at a staggering pace over the past few years, and looks all set to eclipse the economies of all other nations by the end of this decade. Major Chinese cities such as Tianjin, Guangzhou, Shenzen, Chengdu and capital Beijing have morphed from drab ancient cities to ultra-modern metropolises with glittering skyscrapers, sweeping wide streets and all the amenities found in the biggest cities in the world. China’s population growth, which was at one time the highest in the world, has been reined in and is at a much more manageable level today than it was just two decades ago. China’s impressive economic growth in recent years has been fueled by its huge manufacturing industry. Since the country began a program of economic liberalization in the late 1970s, China’s economy has grown a hundredfold. It currently ranks as the second largest in the world in terms of Gross Domestic Product. However, because of its huge population, China’s per capita income ranks well behind all other major economies in the world. 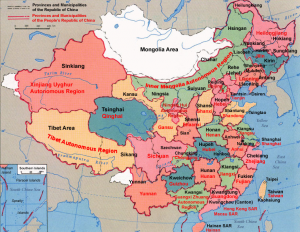 Geographically speaking, China is the second-largest country in the world by land area. The country occupies an area close to 10 million square kilometers, ranging from the Taklaman and Gobi deserts in the north to massive subtropical forests in the south. International shipping to China has become a lot more convenient in recent years compared to even a few years ago. The economic development of the last few years has resulted in a booming market for cars in China. Though the country manufactures a wide range of components for auto manufactures around the world, the range of domestic car options in the country still remains fairly slim. Several Chile international shipping companies offer door-to-door services for those looking at shipping a car to China. In almost all cases, the companies that offer these services also assist customers with all the paperwork, customs clearances and quality testing that are required to import a car into the country. 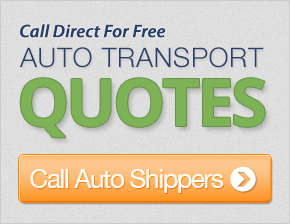 Most shipping companies and brokers offer the same services for those looking at shipping a car from China to the United States. Rather surprisingly, shipping to China is relatively inexpensive by international car transportation standards. On average, individuals can expect to pay between $1,200 and $1,500 to ship a standard size car by container from the U.S to a major Chinese city such as Shanghai, Xingang or Beijein. The price can vary depending on which coast the car is shipped from in the U.S. Shipping a car to China on a Roll on Roll off (RoRo) vessel costs less but not by a lot. For instance, shipping companies charge between $1,250 and $1,300 to ship a car on a RoRo vessel from New York or Baltimore to China. On average, shipping companies require between two and three weeks to transport a car between the two countries. However, you can expect to huge import taxes on all vehicles imported to the country, often far exceeding the value of the car or truck.